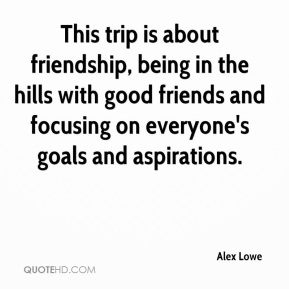 This trip is about friendship, being in the hills with good friends and focusing on everyone's goals and aspirations. I often start into these trips knowing that there's an underlying purpose that transcends merely climbing a peak. 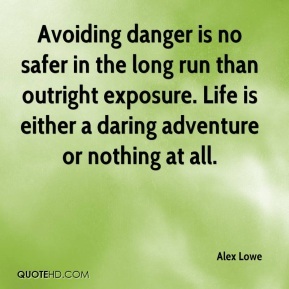 Avoiding danger is no safer in the long run than outright exposure. Life is either a daring adventure or nothing at all. 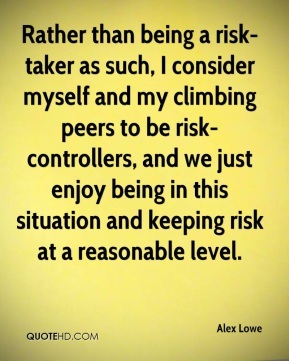 Rather than being a risk-taker as such, I consider myself and my climbing peers to be risk-controllers, and we just enjoy being in this situation and keeping risk at a reasonable level.